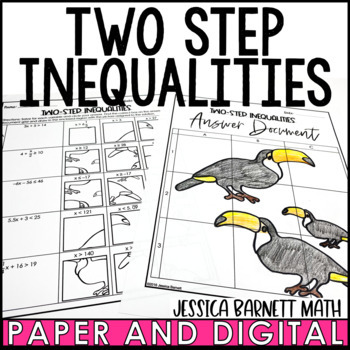 This fun and engaging resource is a great way to review two-step inequalities. In a solve and sketch activity, students will solve a problem and circle the solution. They will then find the problem block on a blank answer document page. There they will sketch in the picture assigned to the solution. Once all 9 blocks have been sketched in, there will be a large, put together image revealed.